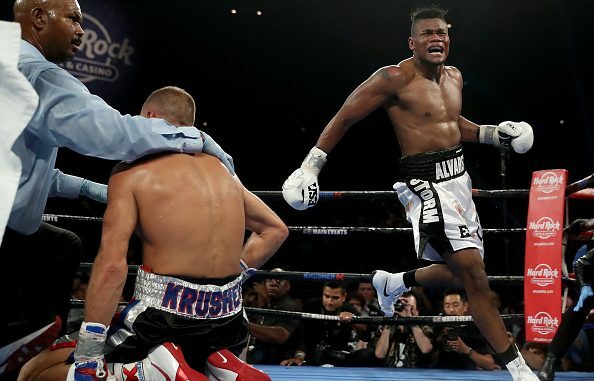 This Saturday night at the Ford Center at The Star in Frisco, Texas, the career of former light heavyweight champion Sergey Kovalev, who faces Eleider Alvarez in a rematch, will either be revitalized or wrecked. At one time Kovalev was the alpha dog in the division, and he intimidated many of his opponents before the opening bell rang. From his pro debut in 2009 through November of 2016, he trampled his opponents and won all but three fights by stoppage. Then, in the signature bout of his career, he dropped a disputed decision to Andre Ward, in a fight most observers thought he won. The contested decision led to a rematch. When they met seven months later, Ward had made adjustments and scored an eighth-round TKO. In the eyes of many, Ward also exposed a fatal flaw in Kovalev: that he seems to come unglued when he has to fight through adversity. After realizing by the end of their first fight that Ward wasn’t intimidated by him (and then actually being bullied by Ward in the rematch), Kovalev lost some of his mystique of invincibility. But instead of falling off the radar, Kovalev, 32-3-1 (28), continued on and stopped Vyacheslav Shabranskyy and Igor Mikhalkin for the WBO light heavyweight title. Kovalev made his first defense against Eleider Alvarez in Atlantic City last August. “Krusher” was ahead on all three scorecards going into the seventh round when he was dropped three times and stopped. The difference between going into the rematch with Ward and Alvarez is night and day for Kovalev. Kovalev thought that he beat Ward the first time they fought and that he was cheated out of the decision in the second. As for being stopped in the rematch, Kovalev believes it was because he was fouled and the victim of a quick hook by the referee. However, that’s not the case with him facing Alvarez, 24-0 (12), this time. For this fight, Kovalev is facing some monumental obstacles. Against Ward, Kovalev dropped and hurt him during the first meeting, and that ensured he’d be confident going into their rematch. The biggest obstacle and demon Kovalev is facing heading into his second fight with Elider Alvarez is this: he no longer truly believes that he’s a killer. There are things in play between the fighters going into Alvarez-Kovalev II this weekend that few have mentioned. And they start with Kovalev, who enters the rematch knowing he was getting the better of Alvarez the last time. Kovalev had him in a little trouble but Alvarez weathered the storm and came back to hurt and stop him. As much as Kovalev tries to justify the reasons for losing, he can’t lie to himself and block it out as if it never happened. There’s no way Kovalev can brush that off as being a fluke or a lucky punch. Not when he was defenseless (and the fight probably should have been stopped after the second knockdown, with the third being completely unnecessary). Those types of beatings are not something many fighters can shake off emotionally. In recent memory, Tommy Morrison and John Ruiz were two examples of pros unfazed in their next fights after nearly being decapitated by Ray Mercer and David Tua, respectively. No, Kovalev wasn’t beaten quite that one-sidedly; but the way he was stopped by Alvarez will weigh on his mind during the fight and, more than likely, unless he’s one in a million, induce him to be careful and fight cautiously because he probably doubts he can win exchanges with Alvarez. That will render his punching power less of a factor for Alvarez to address. And without being driven by his power, Kovalev doesn’t have much to fall back on, and double that if he’s forced to or chooses of his own volition to back up thinking he’ll be safer. His problem will become twofold when Alvarez picks up on Kovalev’s predicament. Once Álvarez senses Kovalev is fighting a safety-first fight and only looking to engage when he feels unthreatened, Alvarez will raise the rent. And that means he’ll pick up the pace and hope to make Kovalev panic under heavy fire—and that will cause Kovalev to go on the defense without looking to retaliate. Or, in his panic, Kovalev will, out of desperation, try to fight back with the hope of making Alvarez retreat. And that’s what Alvarez wants—for Kovalev to engage him because Alvarez has total belief that he can win that way. Sergey Kovalev is going into this fight with Eleider Alvarez a psychologically damaged fighter. At one time he was a bully and, whether he believed it or not, he fought as if he did and that worked for him. His power was legitimate and more so when he believed it was the be-all and end-all. But that’s no longer the case, at least not until he gets in the ring with Alvarez again and beats him. While it can’t be said for sure that Kovalev will fight tentatively and avoid exchanges, that’s the most plausible scenario. And once Alvarez picks up that Kovalev isn’t himself and is trying to box more than fight, he will try to plant the seed of doubt even further. Confidence is such a factor with fighters who rely mostly on their power, and once they face an opponent who not only stood up to their punches but stopped them, they’re usually never the same again. Alvarez stripped Kovalev’s belief that he was invincible more than Ward ever did. Some will focus on Kovalev bringing on Buddy McGirt as his new trainer, but McGirt can’t exorcise the demon in Kovalev’s mind that exists because Alvarez stopped him. Only Kovalev can do that and he won’t know the answer until he actually touches gloves with Alvarez.